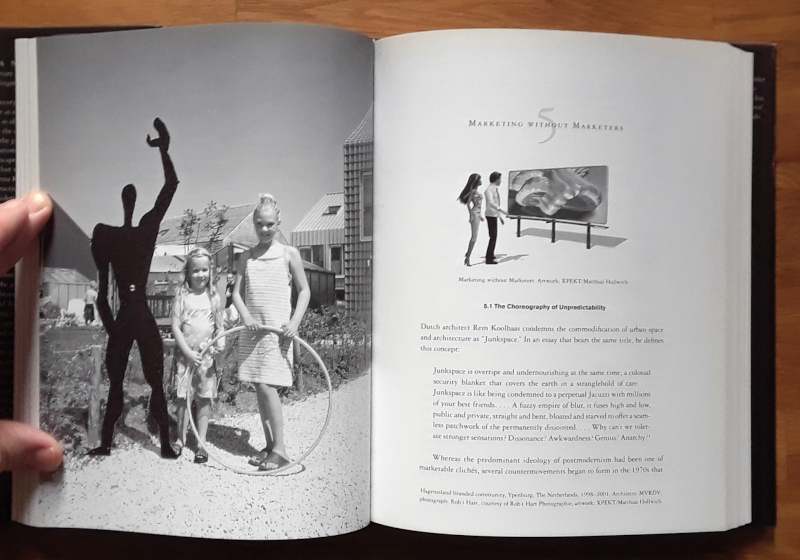 In the twenty-first century, we must learn to look at cities not as skylines but as brandscapes and at buildings not as objects but as advertisements and destinations. In the experience economy, experience itself has become the product: we're no longer consuming objects but sensations, even lifestyles. 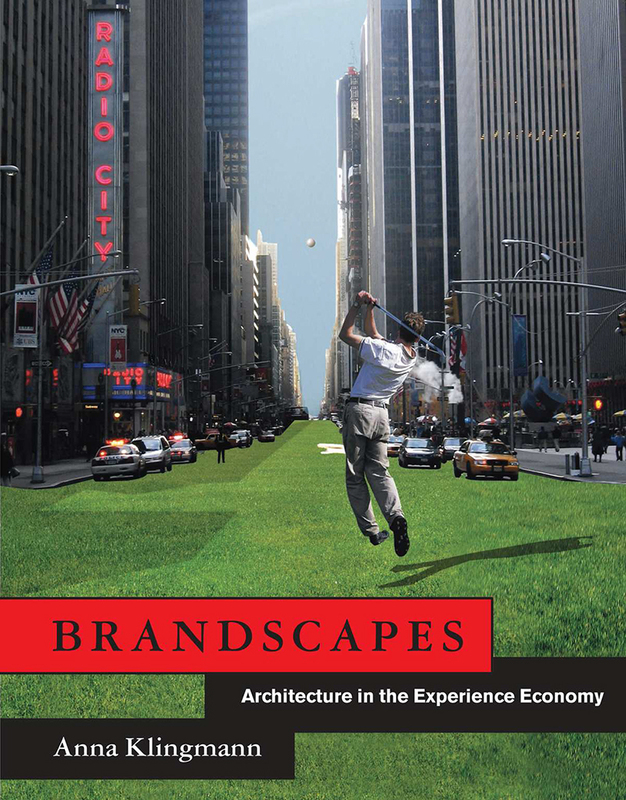 In the new environment of brandscapes, buildings are not about where we work and live but who we imagine ourselves to be. In Brandscapes, Anna Klingmann looks critically at the controversial practice of branding by examining its benefits, and considering the damage it may do. 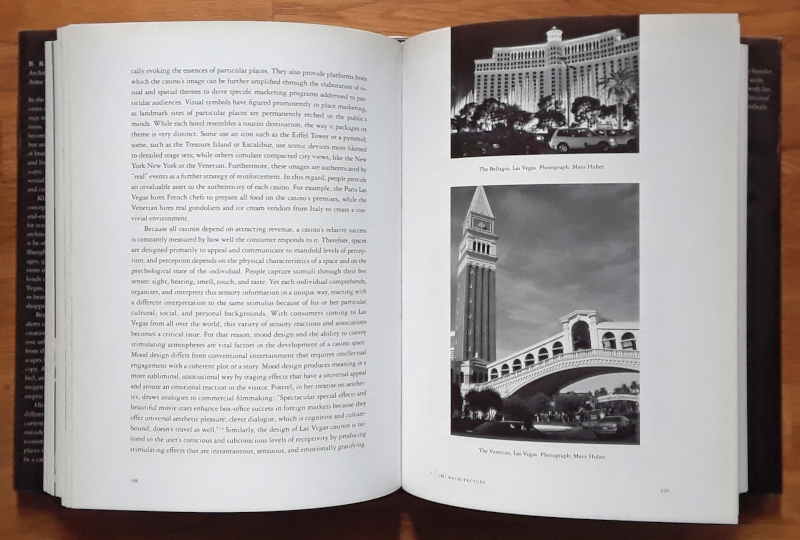 Klingmann argues that architecture can use the concepts and methods of branding—not as a quick-and-easy selling tool for architects but as a strategic tool for economic and cultural transformation. Branding in architecture means the expression of identity, whether of an enterprise or a city; New York, Bilbao, and Shanghai have used architecture to enhance their images, generate economic growth, and elevate their positions in the global village. 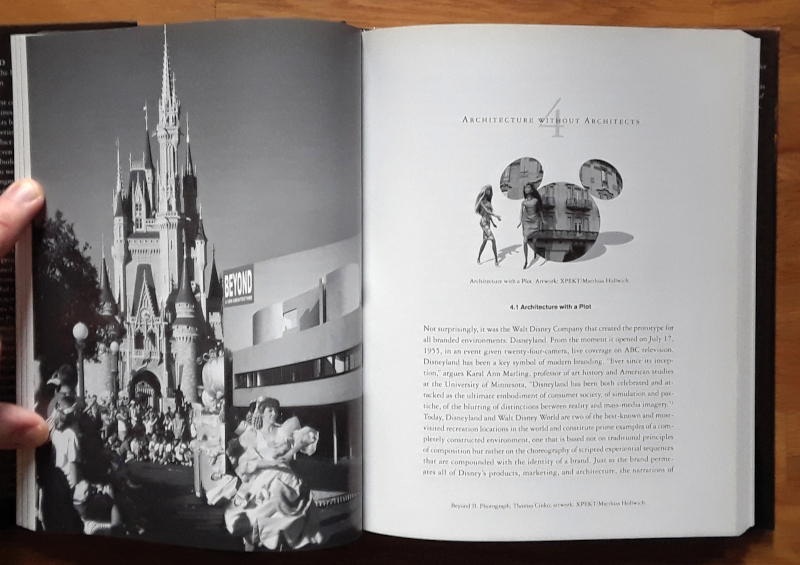 Klingmann looks at different kinds of brandscaping today, from Disneyland, Las Vegas, and Times Square—prototypes and case studies in branding—to Prada's superstar-architect-designed shopping epicenters and the banalities of Niketown. 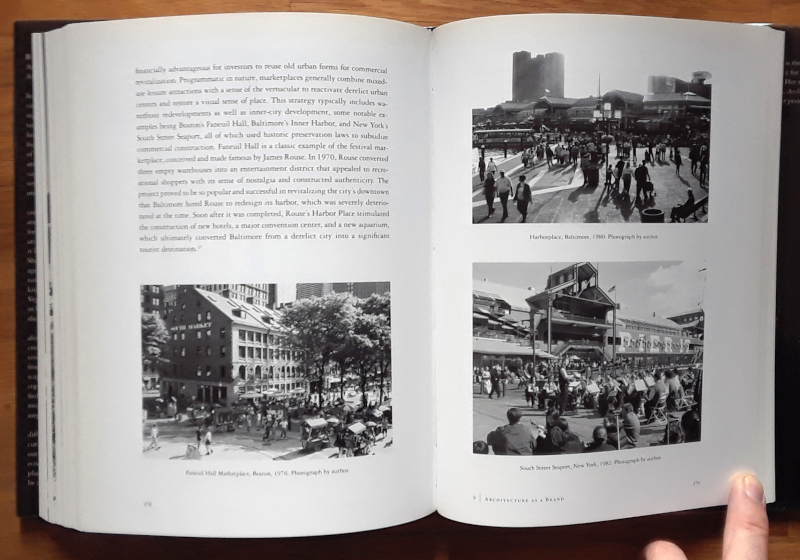 A couple things this week prompted me to grab this 12-year-old book off my shelf: the 29th issue of MONU, themed "Narrative Urbanism," and a visit to the brand new Nike House of Innovation on Fifth Avenue. Architect and brand consultant Anna Klingmann is all about extending the techniques of branding to cities by examining how companies brand spaces, how they create "brandscapes." One critique in her book is NikeTown on 57th Street, which closed upon the completion of the House of Innovation five blocks to the south, and which Klingmann calls "the weakest part" of the company's branding and devoid of any "exceptional experiential value." I'm guessing she'd be pleased with Nike's House of Innovation, even though it's derivative of Apple's highly successful stores. (What corporate retailers these days aren't though?) For one, Nike put a small basketball court in the middle of the store, something Klingmann argues for one in Brandscapes. Nike layered digital features over the court (the lines on the floor are digitally painted, the bouncing basketball creates splashes of color, and cameras are everywhere) to make it an exclusive innovation lab rather than just a place to shoot some hoops. Digital features permeate the store's six floors, hybridizing traditional stores and online e-commerce into an overstimulating experience of all things Nike. For me, Nike and Apple and other brands have every right to design their stores, giving customers unique experiences that allow the brands to compete effectively at a time when stores are hurting. But I draw the line at the building; I'm not interested in the lessons of branding being applied to cities, democratic spaces that shouldn't be guided entirely by corporate strategies, or "brandism," Klingmann's trademarked, stomach-churning term. This isn't to say that brands have not infiltrated public spaces. One lasting effect of the Bloomberg administration (though hardly limited to NYC) is the overtaking of parks and other public spaces for corporate events, be it parties, promotions, or commercials. These events temporarily remove public space from public use, turning the city into just another branding opportunity. Taking branding one step further, Klingmann thinks cities should brand themselves to transform themselves and remain competitive. This makes sense in the realm of marketing targeted at tourists, but when it comes to the creation and use of public spaces, branding should hardly usurp the democratic process, which is often messy and indifferent to such a concept. Amazon's departure from Long Island City comes to mind here. The deal it brokered with Governor Cuomo and Mayor de Blasio would have allowed the corporate giant to bypass ULURP, the process by which the public has a say in large developments. Amazon didn't get this original deal once local politicians entered the picture, so it left. Nevertheless, the company's year-long search for HQ2, in which hundreds of cities had to pitch themselves as if they were brands, makes it appear that Klingmann's take on city branding has become the reality. Anna Klingmann, an architect and critic, is the founder and principal of KL!NGMANN, an agency for architecture and brand building in New York. Her work has been published in AD Magazine, Daidalos, Architectural Record, Architecture d'Aujourd'hui, and other periodicals.